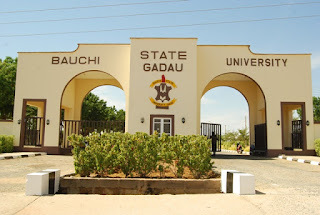 Benue State University, Gadau [BASUG] O'Level Result Uploading Notice to Prospective Students for 2018/2019 Academic Session. This is to inform all newly admitted students into Bauchi State University to as a matter of urgency upload their O level results on CAPS JAMB through their individual profiles on JAMB portal latest by Sunday, 14th October, 2018. This can only be done by visiting any approved JAMB registration center. Any candidate that fails to comply with this directive will have his/her JAMB admission letter blocked and therefore will be unable to download it. Candidates are therefore advised to comply.